YAY!!! Our school year is almost over and we are almost year 8's. 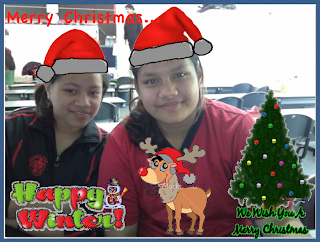 I would like to say A big Merry Christmas to all of you from Rangima and Raina. So we hope you have an awesome Christmas this year, Merry Christmas to you all. Great picture! Did you use the netbooks to make it? wow Reina you did a really great job i bet you took the photo on the net book thats looks like a great picture great job merry christmas picture Reina.